Is Tiktok the new Instagram, or even Snapchat? TikTok, formerly known as Musical.ly is a short-form video app that is gaining massive popularity all over the globe. The Chinese video-sharing app, also known as Douyin, has received more than 80 million downloads in the U.S. and 795 million installs across the world. It is one of the most popular apps of 2018 that allows users to create 15-second videos. The fastest-growing app is ranking on top in the Google Play Store and third on the Apple App Store. Lip synch contests and hashtag challenges have become the platform’s vernacular, and Bytedance is is highly driven by artificial intelligence, translating into the fact that the algorithm learns and adapts quickly and is tailored to each users’ individual tastes. This is how TikTok is able to churn out an endless stream of interactive and highly riveting content every time a user logs in. Genuine and unedited videos and lack of sponsored ads are what’s drawing the young adults away from Instagram (where their parents probably have an account by now). With that in mind, TikTok is providing a massive marketing ground—specially to brands that market to young people. Whether you care to believe it or not, TikTok is the next Instagram that can promote your business and give your brand a significant boost. To make the most of TikTok, marketers need to clearly understand how to use it to their benefit. It works like any other social media app with followers who like and comment on content. Users can record a video clip of 15 seconds. You can use relevant hashtags to make your content discoverable. To make your videos more interesting and fun, you can use default editing and sound tools, filters, stickers, and interesting animation features. The Duet feature has made this app extremely interesting which allows users to create lip-syncing videos. According to Josh Tucker, Senior Director, Social, and Digital at New York-based Endeavor, “The content is driven by creativity and community. It’s fast-paced, truly snackable, and fun. The new camera tools and music integrations are refreshing and creator-friendly. As a result, it has energized a new wave of young creators. The focus is on the community — engagement and challenges are inclusive and positive. I haven’t seen brands be successful yet, but in order to do so they will need to be authentic to the platform with natively created-content, and I believe an influencer approach will be the key to early success. How Can Businesses Use TikTok to Promote their Products and Services? More than 500 million people use TikTok which has made this platform a larger marketing platform than Pinterest and Twitter. This is why many established brands have started experimenting with promotions on the app to give their brand a significant boost. Businesses that are targeting millennials and generation Z who value individuality and authenticity can tap into the power of TikTok. If you create content that specifically targets this specific demographic, it will become a valuable marketing tool for your agency. You can show the human side of your brand by using TikTok and to make your brand look more authentic and transparent. You have a few choices for marketing on TikTok: generate original content, jump on influencer marketing, create challenges or leverage hashtags. From baking to makeup videos, TikTok is full of people who are always up to something. There are some huge TikTok influencers in these spaces—believe it or not, some have millions of subscribers. These influencers have amassed a huge following and some of their audiences want to buy from you. Why not partner with them and craft a stellar influencer marketing campaign. You can pay them to promote your brand subtly in some of their videos, or better yet, use your products on-camera. Once you get your products in front of new eyes, you will see your consumer base grow. One in three consumers trust an influencer’s opinion more than what a brand says, so use that to your advantage. The other way is to fabricate your own content. Making your own content can be a powerful TikTok marketing strategy. However, it will take lots of resources, creativity, and time. TikTok is largely based on viral content, so your content needs to be able to make them watch twice. Otherwise, it will likely be ignored by TikTok users. Similarly, A lot of promotions are leveraging TikTok’s “challenge” concept by creating their own challenges and even going the extra mile by providing new music clips for users to interact with that could win some of the users big prizes. For instance, in Malaysia, McDonald collaborated with TikTok to create a contest called the #BigMacTikTok Challenge. To participate, TikTok users would have to dance to one of the many pre-recorded #BigMacTikTok music clips that were uploaded to the service and submit their entry via the official McDonald’s mobile app. All entries won a free Big Mac, and a few select winners danced away with actual cash prizes. Integrating TikTok into your Digital Marketing Strategy – Is It a Good Idea? Currently, there is no standard method for monetization, which makes the user experience smoother and more enjoyable. For brands, it is the right time to start creating a userbase and take the maximum advantage of organic advertising tactics to promote their products and services. Simply create a challenge for your followers using your product and watch the responses flow. Keep in mind that TikTok doesn’t allow brands to display sponsored ads, however, digital marketers can create authentic content and promote their brand organically. Brands can harness the power of influencer marketing on TikTok to increase brand awareness and promote their products and services. In addition, you can make the most of user-generated content and team up with content creators to engage with TikTok users and create an authentic brand image. There is no denying that TikTok is an interesting platform that brands can use to elicit emotions. If you are seriously considering using this new platform to strengthen your marketing efforts, have a look at these examples for your inspiration. 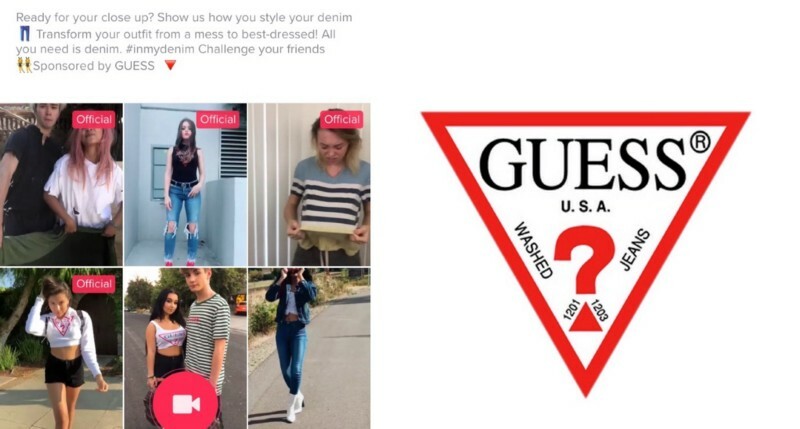 Guess – a fashion-forward apparel brand launched the #InMyDenim challenge on TikTok that prompts users to post videos with the hashtag. The hashtag campaign is specifically tailored for young demographics who love to share their images and videos on social media. The #InMyDenimcampaign received more than 34 million total views which are the biggest achievement for the brand. Guess was the first fashion brand that partnered with TikTok to launch its first branded content in the U.S in an organic way. With the help of branded hashtags, your brand can also launch a successful marketing campaign. Jimmy Fallon, the host of NBC Tonight Show, created the #TumbleweedChallenge on TikTok which has generated more than 19 million views. In this challenge, people have to drop to the ground and roll around like a tumbleweed when they hear a sound. Fallon and his team received more than 8,000 videos in response to the challenge. 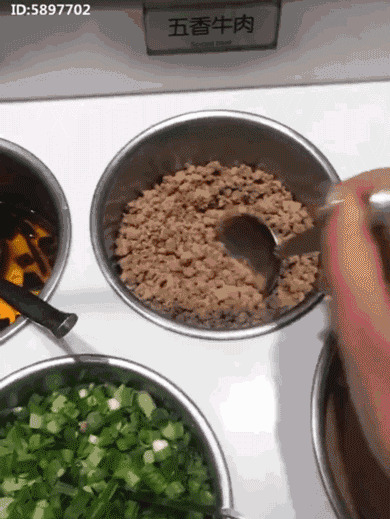 Haidilao – China’s biggest hotpot restaurant chains have come up with a unique idea. They encouraged food lovers to create and post videos of their soup bases and dipping sauces by using a number of ingredients. It is a great strategy to generate online and offline user engagement. Is Your Brand Ready to Experiment with this Innovative andWidely Popular App? Since TikTok is still in its infancy, brands can try innovative techniques to take the maximum advantage of the platform. If executed smartly, a TikTok marketing campaign has a real potential to get the attention of a massive user base. TikTok is growing at a faster pace; it is a great idea to use this effective marketing platform that will definitely bring results that you never thought possible.